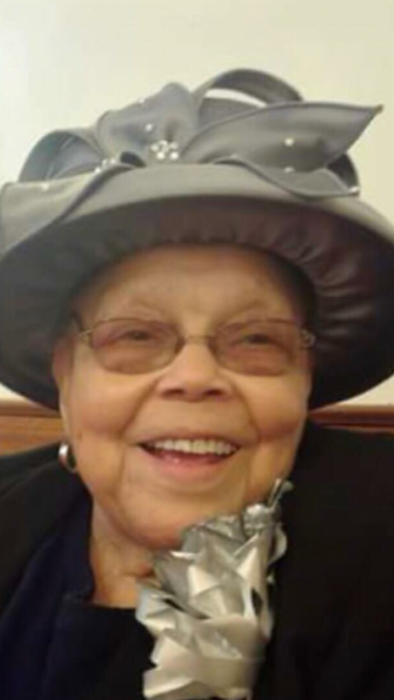 Mary Alice King Weeks was born on April 10, 1931, God called her to be with him on February 4th, 2019 after a few months stay at Mullins Nursing Home. She is the daughter of the late Deacon Johnny and Annie Joe King. She accepted Christ as her Savior and joined Effingham Baptist Church at a very young age. She was a devoted Christian and she loved the Lord. Mary Alice was a committed to Effingham Baptist Church where she taught Sunday school and sang on the choir. She was also a member of a gospel group years ago, called the Gospel Harmonetts. She always encouraged her family and others to know the Lord for themselves and to ALWAYS PRAY. Many people, young and older, were drawn to her and have asked for her to pray for them, they felt as we did, she had something special. She was educated in the Mullins School system and also attended Coastal Carolina University for a short time, studying Nursing. She was employed at Marvel Lighting for 25 years and worked a short period of time at Russell Stover’s. Mary Alice was married to the late Edward Weeks and they have eight children, Ellen Gerald, Linda W. Phillips, Peggy Berry, Edward Weeks, Ronald Week, Faye Anderson and Tony Weeks and Doris Weeks. She also raised her granddaughter Crystal Weeks as her own daughter. Mary Alice was proceeded in death by her daughters Peggy A. Berry and Doris Weeks; three siblings; Lenue (Pete) King, Dorothy A. Platt, and Margaret Waiters. She leaves to cherish her fond memories her sister, Elouise Harrelson of Florence SC. Edward (Brenda) Weeks, Faye Anderson of Charlotte, NC; Ronald (Varlene) Weeks of Jacksonville, FL; Ellen (Thurman) Gerald, Linda (Maceo) Phillips of Mullins, SC and Anthony Weeks of the home and a very special person whom she called daughter, Judy Durant. 13 grandchildren, 25 great grandchildren, and 3 great great grandchildren, and a host of nieces, nephews, cousins, and friends that loved her dearly. She enjoyed late nights with her grands on many many visits by laughing, singing, joking, eating and always letting them stay up as late as they wanted to. There is no place like grandma’s house.